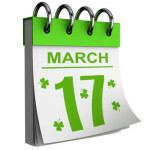 Where is the Hot Springs' St. Patrick's Day Parade? Where is the Hot Springs’ St. Patrick’s Day Parade? Wondering where to find that short parade with the really long name? That would be on the 98-foot long Bridge Street in downtown Hot Springs, AR! 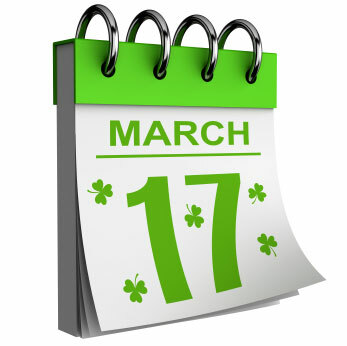 The First Ever 12th Annual World’s Shortest St. Patrick’s Day Parade will begin at 6:30 pm on March 17, 2015. However, we suggest you arrive much earlier so you won’t miss any of the day’s festivities. Join the Blarney Stone Kissing Contest at 4:30 pm in front of the Hot Springs Convention Center. Pre-parade festivities kick off at 5:30 with special guests, and the official “measuring of the parade route” will happen at 6:25 pm. The grand marshal will be Arkansas’ own, NASCAR driver Mark Martin. Others you might see in the parade are the Dallas Cowboys cheerleaders, Duck Dynasty’s Mountain Man, Irish belly dancers, the (in) Famous Texas Tortilla Queens, floats, marching bands, the San Diego Chicken, and don’t forget the marching Irish Elvi! The Swon Brothers will perform the free post parade concert at the end of Bridge Street at 7:30 pm. It’s less than a month away, so pack your green and join us for a night of zaniness and hilarity in Hot Springs! This entry was posted in Events, things to do in Hot Springs, Uncategorized by admin. Bookmark the permalink.